Since 1922, the Junior League of Birmingham has had a tradition of improving the lives of women and children in the Birmingham community. This commitment to our community could not be complete without financial support through various fundraising activities. 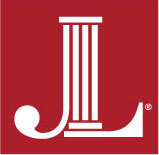 We invite the community and our membership to support the mission of the Junior League of Birmingham. Please click on any of our events that take place throughout the year.